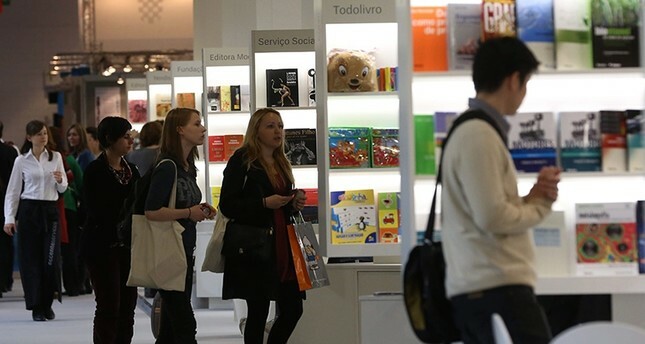 The Ministry of Culture and Tourism has prepared a broad Turkish cultural program of exhibitions, panels and seminars for the 69th Frankfurt Book Fair in Germany. Turkey will be represented in two different booths in a 296-square meter area at the annual fair, a ministry statement said. "Turkey's National Booth" will feature prominent and newly-published Turkish literature, as well as books published by state institutions and organizations such as the Turkish Language Association, Turkish Religious Foundation and the Yunus Emre Institute. Copyright meetings between Turkish and foreign publishers will take place at the booth over the five days of the exhibit. A "Children Publications Booth" will feature special pieces for children and juveniles. The two booths will also serve as a venue for two different exhibitions prepared by curators Prof. Dr. Fikret Sarıcaoğlu and Prof. Dr. Melek Özyetgin. A session on "Turkish Literature in Europe" will also be held, with the participation of authors Yücel Feyzioğlu, Hasan Kayıhan and Orhan Aras, all who live in Germany and publish Turkish language books. The ministry statement added that author Sahrap Soysal will be promoting Turkish cuisine to guests at the Gourmet Galler. German Chancellor Angela Merkel and French President Emmanuel Macron will officially open the international Frankfurt Book Fair on Wednesday.